October is right around the bend and with it our Travis Carnival and all the fun prep work that comes with it. Although the classes do a wonderful job filling the back halls with autumn cheer, it is our task to create Carnival excitement in the main halls with everyone's Halloween themed artwork and decorations! Parents and volunteers, if you have a moment, please join us in putting a touch of Halloween cheer on our Travis walls. From October 1st through the 5th meet us in the Travis Community Room for a moment or an hour between 8am-12pm. We will sort collected decorations, arrange by themed sections, and spot check for durability. This is a come and go as you like week-long project, so no time commitments are necessary. This year's Monster Mascot (the big footed yellow Yeti, who still needs a name) is going back to school as well, so any autumn (leaves, flat pumpkins, paper apples, corn, garland, fabric scraps, or wreaths), Halloween (non scary - window clings, paper masks, wall hangings, old costume parts, fabric scraps, or garland), and small school related items (paper apples, bulletin board scraps) decoration donations are welcome. Every bit helps as we decorate with what our community of parents, teachers, and children provide us -- we often raid our Travis kid's room for extras! 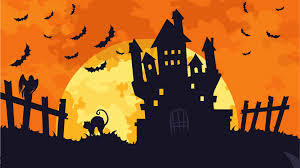 The Halloween donation bin will be next to the PTA box outside the Community Room starting World Cultures Night, where we will have a booth so kiddos (and parents) can decorate paper blanks (people and ghosts) and construction paper creature vacation scenes for the various creatures our kiddos drew last year. For more information contact Kristie Belding, our fabulous Travis Carnival Hall Decorator, or email carnival@travispta.org. Thank you to all!